"Staff was polite, helpful and I enjoyed interacting with the..."
Have a question for Rovic's Tourist Hotel? "It's convenient to all establishment and hotel staff are very helpful." "I found the reception staff warmed to us and were actually helpful and polite." "Staff are affable and nice." 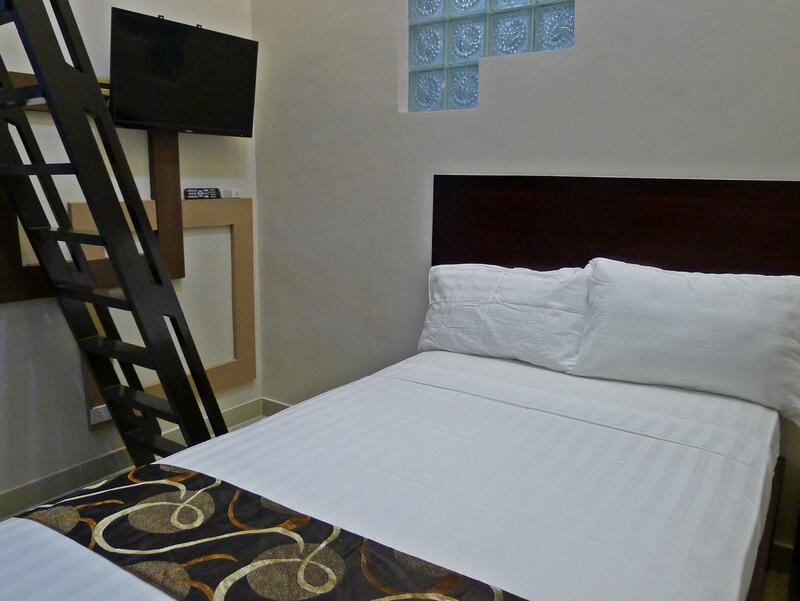 Built in 2014, Rovic's Tourist Hotel is a distinct addition to El Nido and a smart choice for travelers. The hotel's strategic location ensures that guests can quickly and easily reach many local points of interest. The ambiance of the hotel is reflected in every guestroom. Toiletries, an in-room safe, shower, and soundproofing are just some of the facilities that can be found throughout the property. 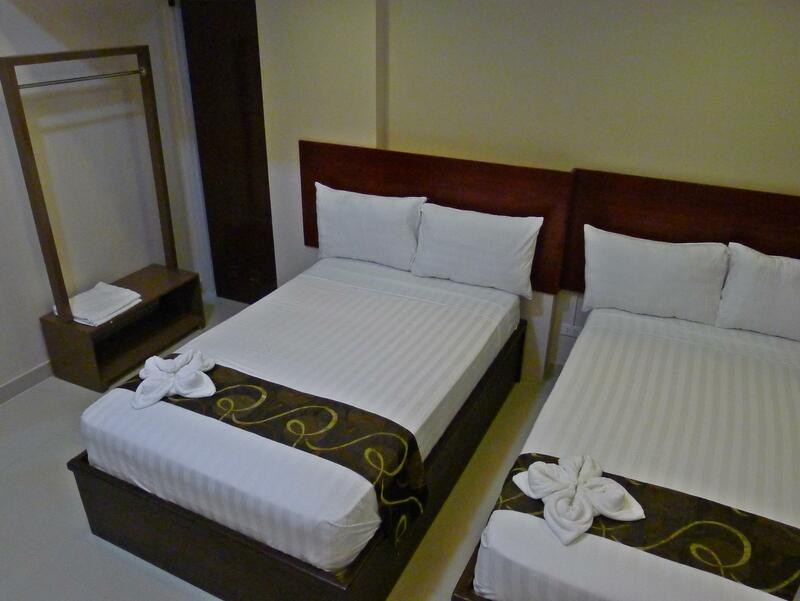 The hotel's host of recreational offerings ensures you have plenty to do during your stay.Rovic's Tourist Hotel is a smart choice for travelers to El Nido, offering a relaxed and hassle-free stay every time. The room was nice and clean, comfy bed and cable TV was a bonus and great location right on the main street close to the beach. I think it was overpriced for what it was. The room we got was called a deluxe double but the bed was hardly bigger than a single. I also didn't like when the girl who carried my bag (up 1 set of stairs) closed the door behind her in our room and wouldn't leave until we gave her a tip. It was extremely awkward and presumptuous. The location of the hotel was great because it is right in the middle of the downtown area. We walked right out into downtown and there was not a lot of noise. The room was okay and we only needed a bed to sleep in. We would recommend the hotel if you want to relax and stay in, etc. The restaurant on the first level was extremely humid and hot. I walked through and could not even imagine eating breakfast in that room. The room and bathroom was really small. The A/C unit was noisy and thankfully we were so tired we slept through it. The lady at the front desk was not really friendly or have a bad attitude, she did not seem to care for her job or being there. The elevator was down, which seems to be oddly common around the Philippines and in other hotels we have stayed in. It is also odd that we have never seen anyone working on the elevators at any of the hotels. We were on the third floor, which was not a problem walking up the stairs, but may be for some. Old bed frame broke during our stay but staff took immediate response. In few minutes, we were transferred to another room. If you book in this hotel, just request that your room will be at ground to 2nd floor. We occupied 4th floor room and it was tiring to go up from ground to fourth because there is no elevator. 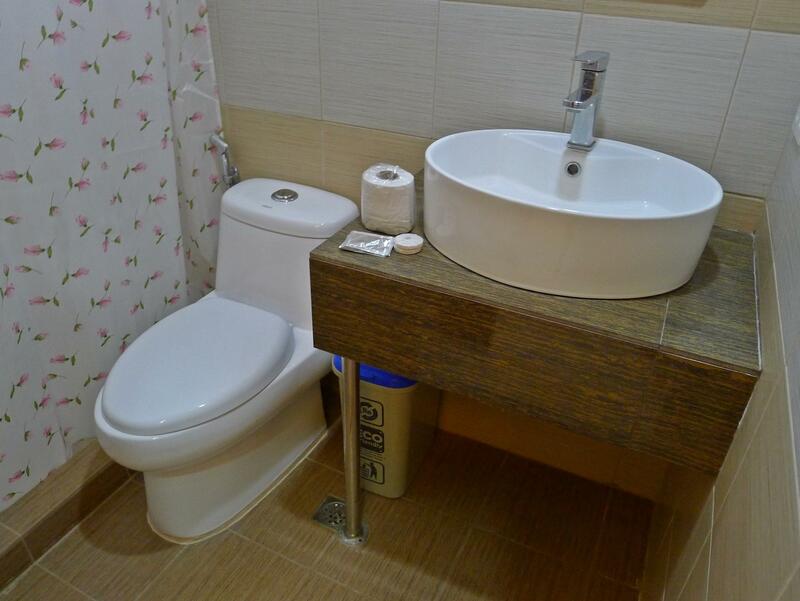 Good location in the centre of town near restaurants and bars. This hotel is run down and shabby. Rooms very small with virtually no space for luggage and clothing. Noisy at night, bathroom a bit smelly. Lobby area is the only place for wifi but it’s a small place that’s so noisy with people and the tv going all the time and limited seating. Staff churlish. Just stopped in for one night after island hopping for one day & the bed, pillows & sheets were bliss! Clean, spacious & comfy enough however pretty dated & bathroom was rather manky. Smack bang in the middle of the action - great location. We chose this hotel because of its convenient location to our diveshop in the water front. It's also exactly in the town centre and is in walking distance with lots of different restaurants. Our room is quite spacious with balcony on the 2nd floor, however, I will suggest to move to 1st floor which was what we did after 2 days of low water pressure and no hot water for shower. The air conditioning and electricity supply were very unstable, but I guess that's the same for most of the hotels there on el nido when there were full house during the high season. We had tried the breakfast there for one day morning only as there were many options around and they were much better. Overall, I would say it's still good for its value. The hotel is near the beach, but that should not be the sole basis of the price. We booked a room for three, and it was too small that we barely have a place for our things. When we arrived, we heard one of the staff complaining why they needed to clean a room every day. That was a dismay. In addition, there was a fire that happened a couple of blocks away from the hotel when we were staying in El Nido. When that was over, and we were returning to our room in the fourth floor, I asked the receptionist if they had an alarm if ever something like that happens again. She said they had no alarm and that they would just go door to door if ever that happens again, so that was disappointing. But in fairness to the staff, they were all kind and accomodating. Good location smack in the middle of the Main Street. Don’t expect a luxury hotel. Don’t expect much at all. Just a clean room, good water pressure and at arms length with all the bars and restaurants. The air con was quite loud, but the building has good isolation so you don’t need to use the air con during the whole night. We had a weird smell in the corridor on the fourth floor, but unless you just arrived in the Philippines, you may already be familiar with some weird aromas. Wifi doesn’t work in the rooms, but works very well in the reception and stairwell. There’s a rooftop terrace with probably the nicest view of any places in El Nido – and during our stay it was totally empty. Grab a bag of beer and go up there to enjoy the sunset. Very overpriced claimed to have internet but never which was important to me because I wanted to book flight, terrible breakfast, tried to charge me 200 pesos 4 dollar to print 4 sheets of paper, terrible shower, you had to ask them to make up room or it was left, chickens at back of hotel cockadoddledoing hence no sleep. But the staff were very nice it was of little comfort for the stay. No drinking water glass, no fresh towel, no room cleaning over five days. Dim lighting, can’t read. Over priced. It good place to stay in for 1 night. thr staff is little bit slow , the location is in the center with all the bars and reastaurants but the noise didnt bother me. the room is quite small and made me feel weird but its ok. THE PICTURES LOOK SO PROMISING BUT DON'T BE DECEIVED. THE LOCATION IS EXCELLENT, A MINUTE WALK TO THE BEACH WHERE YOU HOP ON THE BOATS FOR ISLAND TOURS. WE ARRIVED AT THE HOTEL AT 1PM AND CHECKED IN WITH THE FRONT DESK. I BOOKED THE QUAD ROOM FOR 4 PEOPLE. INITIALLY, SHE TOLD MY US THAT OUR ROOM IS NOT YET READY AND WE UNDERSTAND BECAUSE WE WERE 1 HOUR EARLIER THAN THE CHECK IN TIME. SO MY GROUP JUST DECIDED TO GO OUT FOR LUCH AND JUST LEAVE OUR BAGGAGE THERE. I ASKED THE FRONT DESK WHERE WE CAN LEAVE OUR STUFF AND SHE SAID WE CAN JUST PUT IT AT THE CORNER OF THE LOBBY. EVEN THOUGH WE KNEW IT IS NOT THAT SECURE TO JUST LEAVE IT THERE, WE DECIDED TO JUST DO IT ANYWAY AND JUST MAKE SURE WE ARE NOT LEAVING ANY VALUABLES IN OUR LUGGAGES. BUT RIGHT BEFORE WE LEAVE, (LIKE 5 MINUTES FROM HEARING THAT OUR ROOM WASN'T READY) THE FRONT DESK TOLD US THAT WE CAN JUST GET THE VERY FIRST FROM THE LOBBY. WE WERE CONFUSED BUT JUST TOOK IT. FIRST THING WE NOTICED IS THAT THE ROOM'S AIR CONDITIONING DOESN'T MAKE THE ROOM COOL! AT FIRST I THOUGHT IT WAS BECAUSE IT'S NOONTIME AND IT WAS EXTREMELY HOT OUTSIDE.. MAYBE IT WOULD BE COOLER AT NIGHT. BUT NO. THE AC REALLY DOESN'T REALLY COOL THE ROOM. THE ROOM DOESN'T HAVE A WINDOW SO A NON-WORKING AC IS NOT RECOMMENDED. IT WAS VERY HOT. WE ASK FOR AN ELECTRIC FAN BUT THEY TOLD US THAT THEY DO NOT PROVIDE FANS. EVEN THOUGH IT IS VERY HARD TO SLEEP IN SWEAT WE JUST DECIDED TO STAY. BECAUSE WE ALL KNOW THAT IN THE PHILIPPINES IT IS VERY HARD TO GET A REFUND IF YOU DONT WANT TO STAY THERE ANYMORE. ANOTHER THING IS THAT THEIR BATHROOM HAS A BAD EXHAUST SYSTEM. JUST A WINDOW THAT OPENS UP IN FRONT OF A WALL AND NEXT TO THE AC. Hotel staff are friendly. WiFi only works at the lobby and it's very slow! My mobile data is way more faster than their WiFi Connection. The A/C is not cooler too! It's pricey for this kind of facilities. 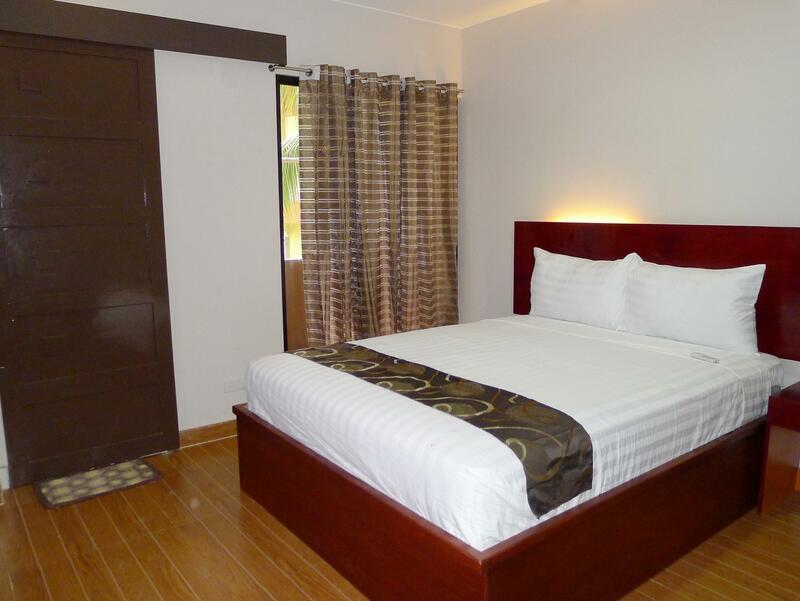 Only good thing is the hotel located in the heart of El Nido town. The hotel seem expensive at first, but I don't know if there are better value for money options in El Nido. The room was ok, clean bathroom and reasonable bed. The air con wasn't working one of the four nights we stayed, but it was due to a power outage, something that seems really usual in El Nido. But the hotel provided an additional fan, which really helped considering the hot weather. You have to ask for the room to be cleaned (leave the key in a separated box on the reception counter) and they might clean it late in the afternoon. One day we came back from a tour at 5pm and the room wasn't cleaned yet (we left at 10am). Don't expect anything great, but it was a good stay. We were expecting a worse experience after reading all the reviews at booking and agoda (from Rovic's and other hotels in El Nido). Could be excellent with minor changes. Shower needs better temperature control and a curtain that goes to the floor so the water doesn't go all over the bathroom floor. Don't eat the breakfast here. It was all cold and unsanitary. Staff was polite, helpful and I enjoyed interacting with them!! We stayed 7 days we were only able to get them to clean the room once. First excuse we didn't give them the key. the next day gave them the key but they said they didn't know if we had locked up our valuables ( no room safe provided). I think housekeeping is understaffed. Didn't get breakfast included. There are many restaurants that serve a much better breakfast for comparable price within walking distance. The location is great the building is newer. There is no elevator. Good location. Small room, thought it would be bigger from the hotel pics. Wifi limited to the lobby. no fridge in room. no brewed coffee in hotel restaurant and have to place food order with front desk. AFAIK, no el nido hotels have elevators, beware if you a heavy bag. 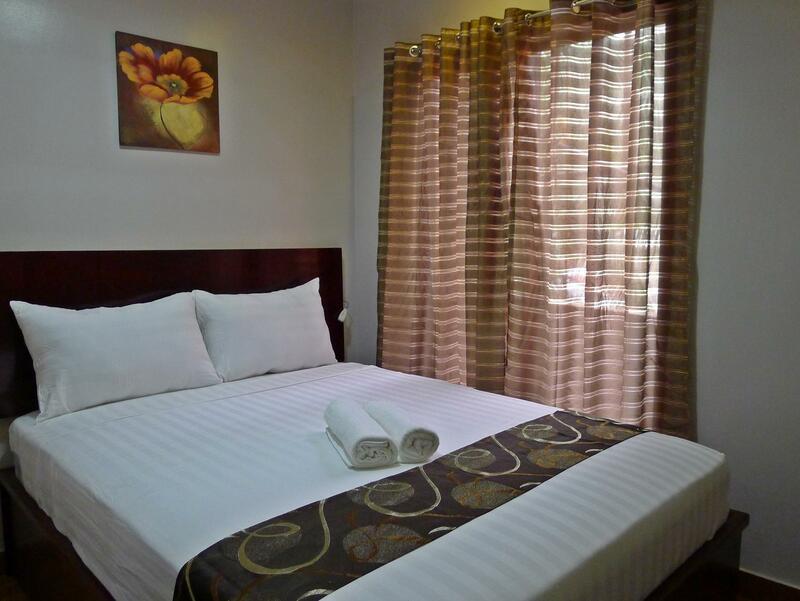 another reviewer stated you can find same room in other el nido hotels for less. I now understand that statement. If i return to el nido, Rovics is not my first choice. FYI: Internet service in el nido is poor with slow connection, Globe and SMART will throttle down your speed.